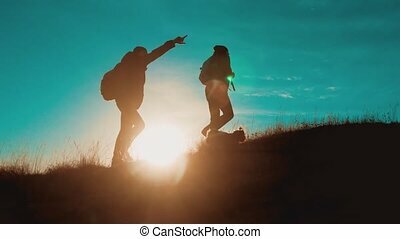 Teamwork men run jump from happiness victory walking . 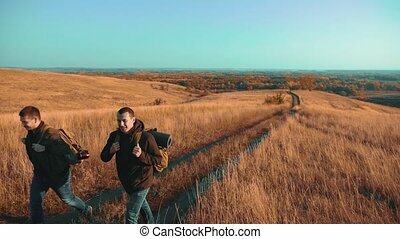 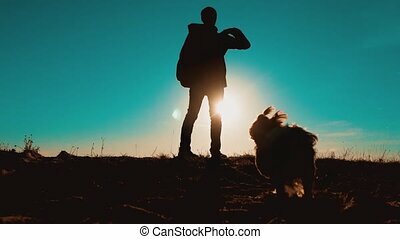 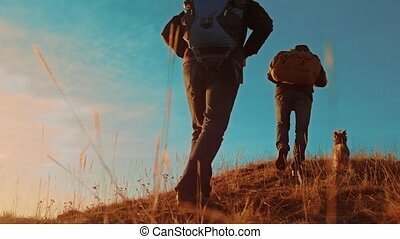 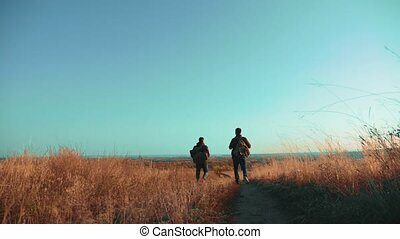 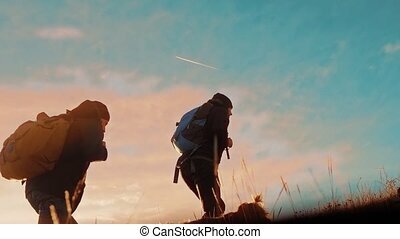 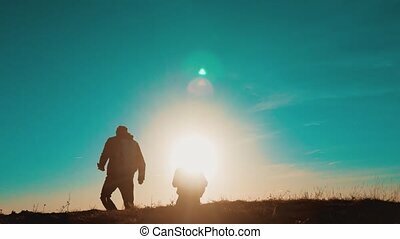 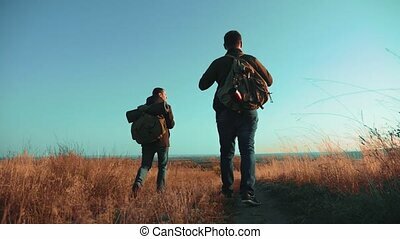 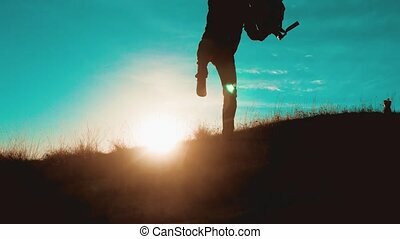 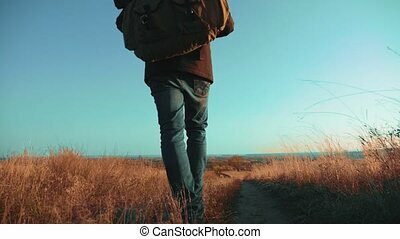 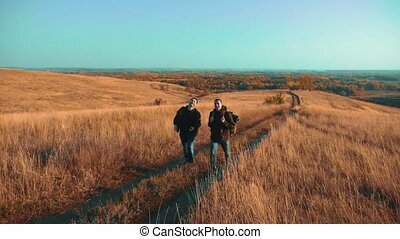 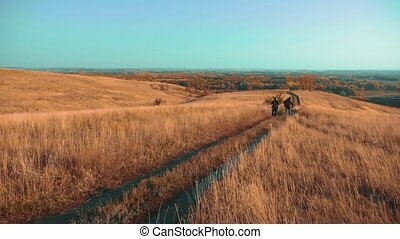 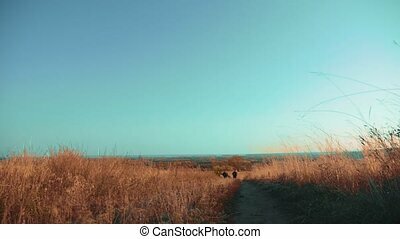 two tourists hikers men with backpacks at sunset go hiking trip overcoming difficulties victory success. 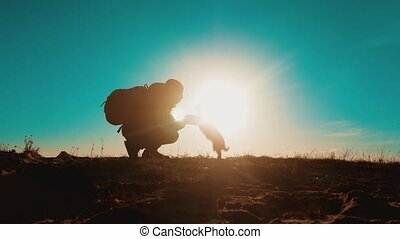 hikers adventure and the dog go walking.